There is a huge controversy going on right now in the U.S. Open. The Rules of Golf state that if you cause a ball to move you are assessed a penalty. If the ball moved through some other agent it is not a penalty. 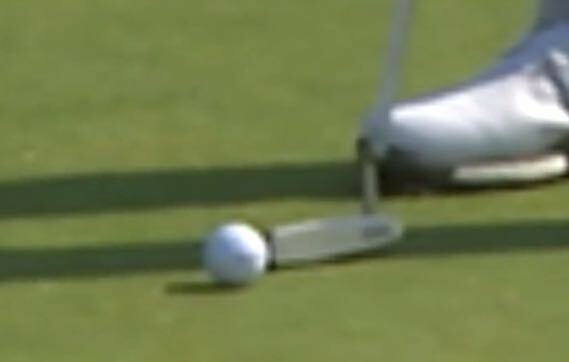 Dustin Johnson was leading the U.S. Open when his ball moved. It was determined he did not cause it to move and thus he played it from the new position. Then, after watching some video, someone at the USGA, the organization that runs the U.S. Open got scared. What if Johnson did cause it to move? People will blame us! Fear then ran through the organization much like poop through the proverbial goose. We have to make sure we’re not blamed if that happens. Panic spread like wildfire. In that panic someone made a very, very bad decision. They decided to inform Johnson that he might be assessed a penalty. This while he is still on the course! His competitors know nothing of this although it’s likely word has filtered to them through the crowd. It changes the way everyone plays their remaining holes. It changes everything. It’s a disaster. Would we expect any other sporting event to do as much? Well, St. Louis Cardinals. It looks like that run you scored may not count but go on and keep playing anyway. We’ll tell you what we decided after the game? Idiocy! I’ll lay it out for the cowards at the USGA. Make a decision and stick with it. If it turns out to be wrong later, take the heat. Today is Father’s Day and the USGA is acting like a scared child. Shameful! I just read an interesting story that is generating lots of outrage based on, in my opinion, a misleading headline. 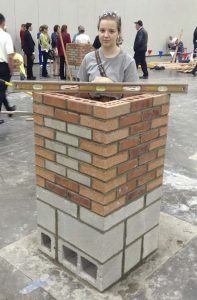 A young woman named Shania Clifford from Scioto, Ohio was the first of her gender to win the SkillsUSA Ohio masonry competition. 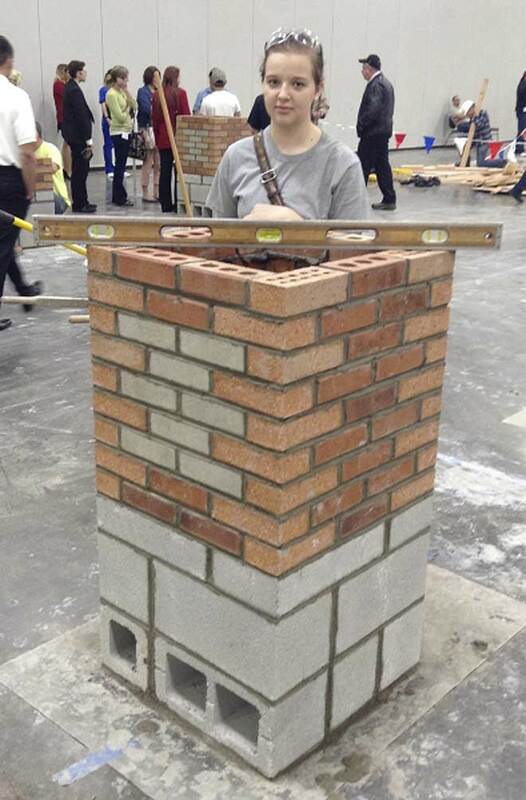 She was then bumped from the competition as the headline blares: First female teen to win Ohio masonry competition bumped from national contest. A reading of the story indicates that Clifford actually finished in third place but was given the gold medal because of a transcribing error from the judge’s sheet to the spreadsheet which calculated finishes. Clifford was not notified but instead the competitor who actually won was told. He then posted the news on his Facebook page and that is how Clifford found out. The organization certainly failed in a number of ways. The transcribing error was unfortunate but mistakes happen. However, not notifying Clifford of the mistake and explaining in detail what happened was dead wrong. There’s no excuse for that. It’s rude and also gives the impression they are hiding something. They owe Clifford a much better explanation and I see no reason why they shouldn’t invite her to the finals in any case. But the bottom line is this isn’t sexism, it’s a typo. That is if the explanation for what happened is true. I do think the lack of communication on the part of those who ran the competition has opened them to questions. They should provide the original judges scorecard and the faulty spreadsheet calculations. Even with that I’m going to call this a misleading headline. Also, good job, Shania! Keep up the hard work. Even if you don’t get to the finals you’re on your way. I’ve gotten emotional and interesting reactions to the blog post I made yesterday, Jun 15, 2016, about Mars Candy and that reaction is quite fascinating. I’m going to talk about what I think it means today. First off let’s look at all the places from which I got reactions. I made a comment on the original story, posted the blog here, reposted at Liberty.me, and linked to it on Facebook and Twitter. Across the board people have reacted in one way. 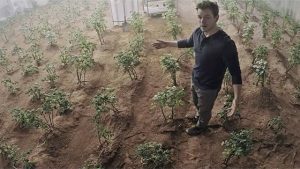 They don’t believe Mars acted in the interests of their customers. People find it impossible to imagine that a modern business would do something that benefited its customers, particularly if that action seems to cut into profits. I’ve been laughed at. I’ve been given all sorts of explanations about how Mars was actually engaged in better business practices that had nothing to do with the customers. I’ve been called stupid. Don’t get me wrong, I’m not whining. People can laugh at me and call me stupid all they want. I’m comfortable being me. What I am doing is sitting in astonishment that the public’s opinion of a business has changed so dramatically in my lifetime. I think businesses are still quite often excellent corporate citizens but the expectation that they will be so has changed, and that’s not good. If the executives of a business are expected to be selfish and self-serving with no interest toward their community or customer, it is only a matter of time until they become so. Why be a good corporate citizen when you get no credit for doing it and there is no expectation you will do it? One thing that I think is completely lost in the modern world is that a business cannot be good or evil. It is the executives and employees of that business who make policy decisions. Those are the people who are good and evil and they are us. If Victoria Mars runs a candy company it doesn’t mean it is impossible for her to be worried about the well-being of her customers. Cutting down the size of candy bars for the health of customers doesn’t have to result in more sales immediately. If the customer lives longer it can be both a good corporate decision and a good health decision for their customers. I’m of the opinion that too many decisions are made looking only at the short-term benefits and not the longer lasting effects. Decisions made that benefit the employee, customer, and business are often the same thing. What is good for the corporation is generally also good for the customer. Decisions that harm the customer can be beneficial in the short-term but often have negative effects down the road. It concerns me tremendously that there is such a negative opinion about business in this world. I even got negative comments at my Libertarian website! Businesses and capitalism provide me with almost everything in my life. I’m happy to pay money for particular goods and services. I think there was a time when almost all businesses felt they wanted to provide those things for me and make sure I was happy. I think that’s changing and at least partially because our expectations of a business have been warped to assume they are simply out to maximize their profit. When we expect business leaders to go for as much profit as possible and take advantage of the customer, they will eventually do so. That’s a recipe for disaster in the long run. Remember, a company is run by people. Greed is not good. What is good is making a profit, employing people, helping the community, and providing a desired product or service. When you purchase something you should be looking for companies that behave in such a manner. When we expect the worst from someone, we often get it. I just read an absolutely fascinating article about Mars Candy. 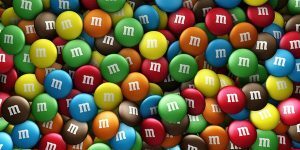 It states that Mars is looking to reduce the presence of their world famous M&M Brand candy in third party products like McDonald’s McFlurry because of concerns that people are eating too much sugar. It’s why they are doing this that makes this Libertarian beam with happiness. You see, Mars is a privately held company. They are not beholden to stock holders. The reduction of sugar is not being done because the government is forcing them to do it. They are doing it because they are concerned about their customers, as well they should be. Mars has a history of this behavior so it’s not a one time publicity stunt. Mars was the first candy company to put sugar amounts and calories on the packaging of their product. Not because the government told them to do it but because they wanted their customers to be aware of how much sugar they were consuming! In 2013 Mars voluntarily removed “King Sized” candy bars from their product lines and limited the amount of calories to any single bar at 250. Again, not because any politician made them do it. Because they are concerned their customers are eating too much sugar and adversely effecting their health. From a candy company! These sorts of moves cannot be easy for a company like Mars to consider. Too often we look at short term economic strategies. Mars wants their candy loving customers to live longer and buy more product during that lifetime! They have a long-term strategy that is not only good for the company but good for their customers, which makes complete sense. Mars advises customers to consume their products modestly and as a treat! Mars has promised to match health guidelines for sugar intake by limiting sugar in their products. By golly, three hearty huzzahs for Victoria Mars and those who work for her company! I urge all my friends to go out and buy some Mars candy remembering to consume it as an occasional treat. Live long, my friends. There was an interesting story from the United States Golf Open this morning that I think gives us a fairly keen insight into the nature of capitalism, both good and bad. A professional golfer by the name of Jordan Spieth refused to sign autographs for two adults while signing for a child who was being “smooshed” by said adults. Spieth determined, and I absolutely believe he was correct, that the adults were what are called Professional Autograph Seekers. Such people collect autographs for resale at such outlets as eBay. This practice has angered quite a number of celebrities from politicians to athletes to actors and beyond. Many of them have instituted policies to try and ensure their autographs only go to those who want them as a souvenir rather than as a money generator. There are several thoughts behind this line of thinking. One of the main arguments is that the celebrities can and do make a great deal of money by selling their own signature. That professionals are simply stealing profits that are legitimately the celebrity’s. Another is that time spent signing for professionals takes away from available time to sign for legitimate fans who want a personal souvenir. Both reasons are legitimate and I certainly don’t have a problem with Spieth, or any other celebrity, who tries to limit their signature when it comes to professionals. But now I’ll come to the point of today’s blog. The economic reality is that there is a ready-market of people willing to pay fairly significant sums for those signatures. Where there is a market there will be suppliers. Suppliers will find a way to meet demand. Professional Autograph Seekers pay children to collect signatures. They seek autographs through the mail. There really isn’t much a celebrity can do except stop signing altogether. That, of course, deprives those who want a souvenir both at live events and at auction sites. It’s a situation that brings to light the full gamut of capitalism. Good and bad. The selling of signatures makes money for the celebrity and the Professional Autograph Seeker. It means that many people who want a signature as a souvenir get it despite never being in close proximity to the celebrity. Those are both good things. It also means that the amateur is often pushed out of the way. That a child who wants an autograph is smooshed. Let’s not mince words. Celebrities don’t sit and sign until the last person is gone. They have limited time and every professional means one less signature for an actual fan. There really is no villain here. Spieth wants to give his signature to people who value it for personal significance. Professional Autograph Seekers are simply making money from a ready market. Those buying on eBay or other outlets are spending their money freely knowing full well who is selling the autograph. A politicians might try to outlaw selling signatures that are not your own and thus create a giant black-market with all the violence and fraud such illicit underground situations always bring. The world ain’t always pretty and many times there just isn’t an equitable fix. Striving to find political fixes for things that cannot be fixed leads to bigger problems than the original issues. Don’t do it! I was out and about the other night and an attractive woman sat next to me with her date. During the course of their conversation, to which I was listening vaguely, she mentioned a Christina Applegate movie about babysitting and it reminded me of an underrated gem. Don’t Tell Mom the Babysitter’s dead. So, of course, it’s time for a Libertarian Movie Review. In the movie Applegate’s character, Sue Ellen, is the eldest of five siblings left home under the care of an elderly babysitter while her mother takes a summer vacation to Australia. Trouble ensues when the babysitter dies and the teens have no money to support themselves. Rather than call their mother they decide to try to make it on their own. Sue Ellen has aspirations of a career in the fashion industry but takes a minimum wage job in fast food. She soon quits because she is being treated horribly by a manager. She then creates a false resume hoping to get a job as a receptionist at a fashion house. Impressed by the resume, a company executive hires Sue Ellen as an assistant. Sue Ellen excels at her job and impresses her boss although also gains the enmity of a jealous co-worker. Meanwhile her marijuana obsessed brother is forced to feed the family on a small budget and finds that he loves cooking. 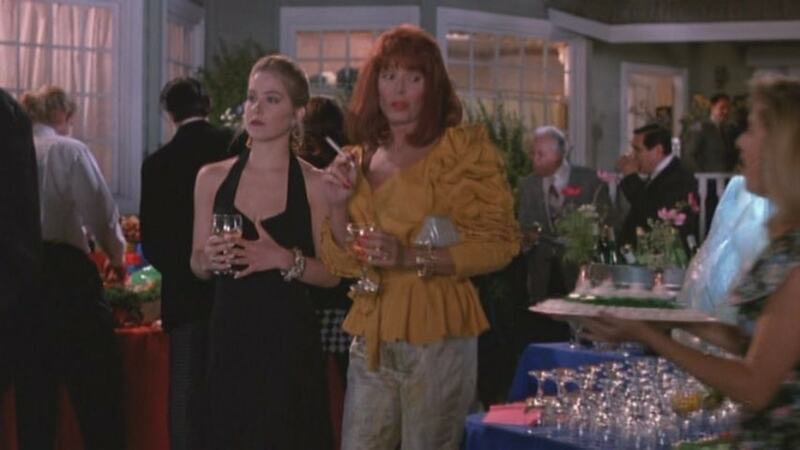 Eventually Sue Ellen ends up hosting an important fashion party for the struggling company. Her stoner brother provides an elegant dining experience while her younger siblings help as best the can. In the end she is found out by her conniving and less competent co-worker and also the return of her mother. Rose, the executive played by Joanna Cassidy, is not dismayed and offers Sue Ellen a permanent job. Sue Ellen refuses but is promised by her now former boss help in gaining admittance to a prestigious college. Meanwhile her brother and other siblings all gain by the experience and become the better for it. From a Libertarian perspective there is a lot to like about this movie. Sue Ellen wants a career in fashion and refuses to settle for a fast food job with a terrible manager. She lies on her resume and aims high. Once on the job she solves problems creatively and effectively despite sabotage from a co-worker. Her brother is wasting his life smoking marijuana but stumbles upon a career that peaks his interest and goes for it with as much gusto as Sue Ellen. When Sue Ellen is discovered she admits her guilt to all and is willing to accept the consequences. Finally, and I think in one of the most important scenes in the movie, when Sue Ellen is found out by Rose all is not lost. Certainly Sue Ellen did wrong by writing a false resume but once in the position she achieved astounding success. Rose recognizes this and does not punish Sue Ellen. She instead rewards her. Had Sue Ellen failed at her job then punishment is certainly deserved but, in this case, she did not. Sue Ellen took a chance, broke a rule, and found tremendous success in a field she loves. She also helped her brother find his way and her younger siblings as well. I give it a rating of Five Freedoms. A hidden gem worth watching by everyone, not just Libertarians. 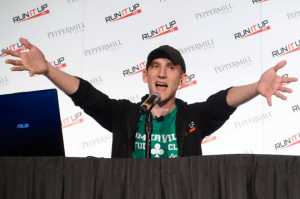 Online Poker is a Life of Hard Work and Little Money – so Why do it? I’ve been watching people play poker on twitch.tv lately it’s got me thinking about some things. I started watching a fellow named Jason Somerville and then also began to follow two other players, Lex Veldhuis and Parker Talbot. All three are extraordinarily good players and also entertaining personalities who explain their decisions in an informative way. Somerville in particular is a highly watched streamer who does an exceptional job teaching the game and also entertaining the audience. So why the blog? Good question. After watching all three of these very strong poker players play for many hours I realized they aren’t winning much money and on many days losing money. That’s not to say they aren’t making money by the end of the year but what I saw was them playing for many, many hours in long tournaments with thousands of players (called Grinding in poker vernacular) for a small return on their hours of investment. Then, for a change, I watched a few other plays who clearly did not possess the skill or temperament of Somerville, Veldhuis, and Talbot. Not only were they spending hours and hours playing, they were largely losing money! And quite happily I might add. The first lesson I took from all this is that I have no business sitting at an online poker table. Even if I’m at a small stake tournament, some can be entered for as little as a dime, I’d merely be spending a lot of time and losing money. I have literally no chance to win against more skilled opponents. The more I would play, the more I would lose. It quickly became clear to me that the vast majority of people playing poker online are either losing money or earning money at a rate far below any minimum wage job. So why are tens of thousands, if not more, people gleefully doing so? I think it can be argued that the allure of riches plays a part but I don’t think that’s the primary reason so many people are attracted to online poker. While the riches are certainly there it is not the same as purchasing a lottery ticket. In order to get the riches hard work is required. What I think is going on is much deeper. It taps into why I’m a Libertarian and also into very nature of what it is to be human. We want to be free. We want to work hard at something we enjoy and be rewarded for doing so. Those things bring us happiness and joy. After watching Somerville, Veldhuis, and Talbot for many hours some things became very clear to me. All three are not simply dolts who happen to be good at poker. All three are highly intelligent and thoughtful. They spoke of subjects beyond poker with strong words and rational logic. It is clear to me that all three would be successful in whatever endeavor they chose, they just happened to have picked a field they enjoy and at which they excel. Wise choices, my friends. And a shining example for the rest of us. Do what you love. Work hard at it. Be pragmatic in your decisions. You’ll be happy, perhaps rich or perhaps not.